Wow. This looks totally mesmerizing. An official trailer has debuted for a new documentary titled Awaken, a visual experience around the world. Awaken is the latest film from filmmaker Tom Lowe (of the time lapse film TimeScapes previously), and it's produced by Terrence Malick and Godfrey Reggio. For this film, Lowe spent five years with his camera team creating special camera rigs designed to capture the world like we've never seen it before - including adapting a gimbal to capture astrophotography timelapse at night from a helicopter in flight. The film explores "humanity's relationship with technology and with the natural world" and is a "celebration of the spirit of life, an exploration of the Earth, and an ode to the Cosmos." We don't know much about this, but I most definitely want to see it on the biggest, brightest screen possible. Enjoy. Awaken is a documentary film exploring humanity's relationship with technology and with the natural world. 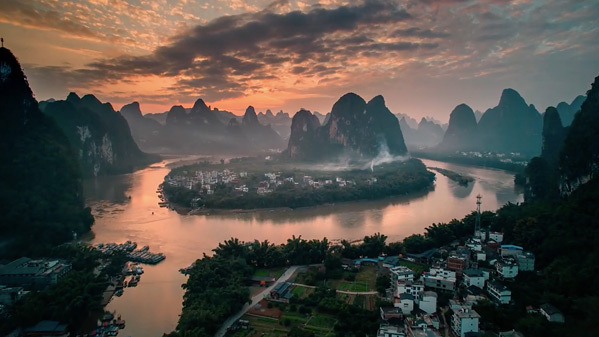 Shot over a five-year period in more than 30 countries, the film pioneers new timelapse, time-dilation, underwater, and aerial cinematography techniques to give audiences new eyes with which to see our world. Awaken is a celebration of the spirit of life, an exploration of the Earth, and an ode to the Cosmos. Awaken is directed by filmmaker / cinematographer Tom Lowe, who last directed the 2012 film TimeScapes. This was produced by Terrence Malick and Godfrey Reggio. The film has yet to show at a film festival. Awaken is expected to open sometime in 2018. Stay tuned for updates. What do you think of this?